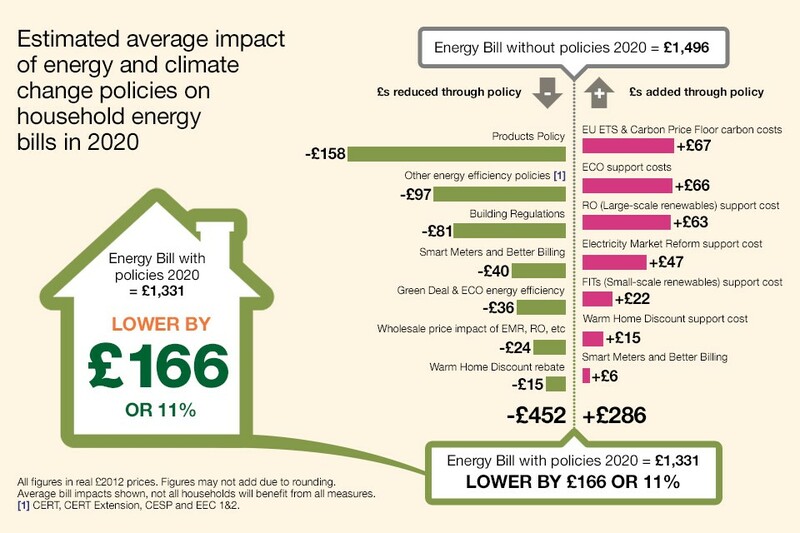 Earlier we published a fair bit of detail about recent DECC research showing climate and energy policies are helping to reduce our household energy bills. If you prefer the quick summary approach, we found this graphic over on gov.uk. It shows the expected costs from various climate and energy policies split and apportioned as increases to the average household energy bill. It also shows the savings and the amounts that the average energy bill will be reduced as a result of the various policies.